Health Minister Greg Hunt has urged Australians to get their flu shots as they become available from mid-April. "It's important to get vaccinated against influenza every year, as the virus changes year to year," Greg Hunt said in a statement on Sunday. Elderly Australians continue to experience the worst of the disease with 75 per cent of influenza-associated deaths last year occurring in people 65 and older. Vaccines are being distributed to states and territories and will be available from mid-April. Six million doses of influenza vaccine will become available for free for eligible people through the federal government funded National Immunisation Program. Those eligible for a free flu vaccine include people 65 and over, Aboriginal and Torres Strait Islander people from six months and people aged sixth months or older with certain medical conditions which put them at risk of severe influenza. Mr Hunt said it is safe to receive the shot at any stage of pregnancy to protect both mother and baby. Annual influenza vaccination is recommended for anyone six months of age and older. 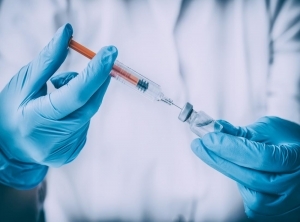 "Getting vaccinated from mid-April allows protection during the peak influenza transmission period, from around June to September in most parts of Australia," Mr Hunt said.